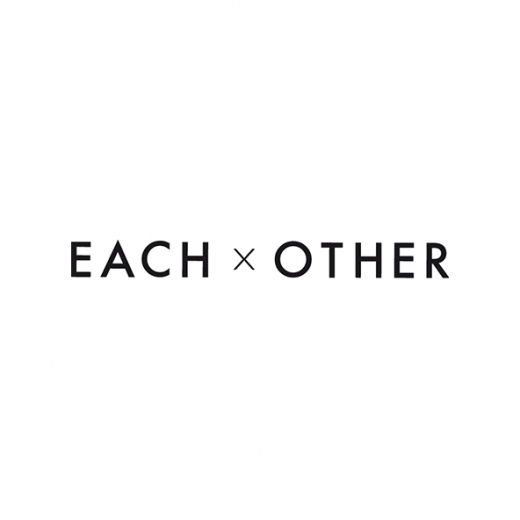 EACH x OTHER is a collaborative fashion brand, a fusion between artists, musicians, poets, filmmakers and fashion designers. EACH x OTHER is a collaborative fashion brand, a fusion between artists, stylists, poets, musicians, filmmakers and fashion designers. The brand acts as a label and publishing house for its community to produce fashion related clothes, items and objects that we’ve always dreamt of. EACH OTHER believes that clothes should not be strictly designated “for man” or “for woman” and proposes a unisex wardrobe with a classic masculine direction, an androgynous line that is mirrored and twisted into a women’s collection, referencing the “boyfriend” look. EACH OTHER believes in timeless, ageless, genderless design. EACH OTHER is collaborating with the following artists: Robert Montgomery, Yi Zhou, Francois Mascarello, Katerina Jebb, Ari Marcopoulos, Fabio Paleari, Crystal Moselle, Marcel Castenmiller, Kava Gorna, Philippe Alvergne, Ann Grim, Peter Gurnz, Alec Monopoly, Thomas Lélu, Asa Mader, Asia Argento, Aska Matsumiya, Jason Gringler, Avena Gallagher, Alizé Meurisse, Antipop, François Mangeol. EACH OTHER’s clothes are made using the finest fabrications with 100% natural, raw materials. EACH OTHER is working with craftsmen who love their profession and have selected its fabricants from the quality and engagement they invest in their products. All our clothes are europe made and have experienced special treatments, done by hand, that add depth, beauty and soul to the garment. EACH OTHER is a collective curatorial project and a publishing house for fashion related clothes, items and design objects. EACH OTHER proposes to its exclusive clients original art installations, such as framed screens with video art, photographic works, sculptures, design objects, paintings and our nomadic concept ‘the trunk’, produced by and for each other.